HAZWOPER / Meters / Calibration & Bump Gas — safety elements, ltd.
safety elements. ltd. offers personalized, specialty products and services to keep our customers safe by offering customized, on-site training for OSHA topic compliancy, HAZWOPER, RCRA, DOT and hazardous materials handling. In addition to our trainings, we offer consulting and toxic atmospheric testing, specializing in methamphetamine contamination. Let safety elements, ltd. be the one you turn to for your safety needs!. Contact us to show you why we are the best service (BBB A+ rating) in the industry! Safety Elements, Ltd. is concerned about safety, health and the environment. We offer a full range of certified, calibration and bump gases. All of our classes are CUSTOM DESIGNED to fit your employees’ and facility’s needs. 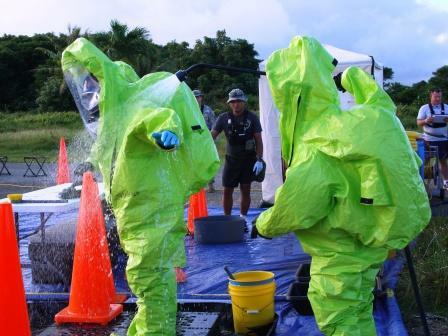 All of our instructors are of Hazardous Material Technicians and Specialists with experience real life spill response, cleanup and incident mitigation. Is your HAZWOPER Training due? Did you know that OSHA requires HAZWOPER training updateds every year (29 CFR 1910.120). This is something that is commonly overlooked by many companies who provided the intitial HAZWOPER training to their employees. Our instructors come to your facility and use your equipment to enable your employee's thorough knowledge of the specialized tools available to them. Remember, hands-on training is the backbone to HAZWOPER training! OSHA suggests non-computer based training to allow one-on-one educational needs. 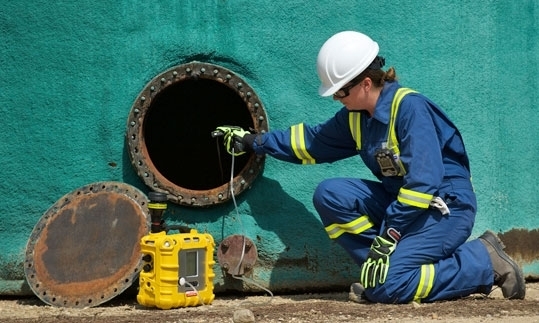 Many employers purchase meters for their employees to use for confined space entry or hazmat procedures, but after the initial purchase, the knowledge to accurately use the meters diminishes with time. Brush up the knowledge base of your employees so the meter's output results in the correct interpretation. Remember 1 ppm could be deadly! Is your atmospheric testing equipment current? Have your meters been calibrated per the manufacturer’s specifications, including current calibration gas usage? safety elements, ltd. is a proud distributor for MESA Specialty Gases & Equipment and has seen too many times atmospheric work conducted using outdated or incorrect calibration gas. Let us assist with providing new and correct calibration gas. Contact us today by clicking on the tab below.